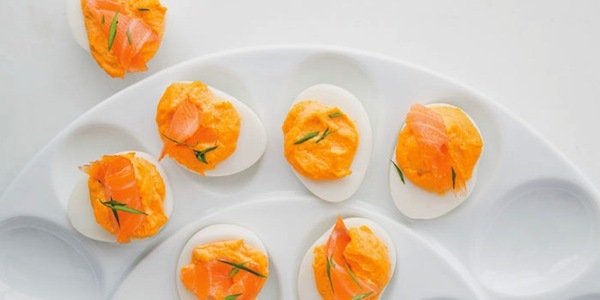 18 Must-Try Deviled Egg Recipes: Easy & Chic Make-Ahead Appetizers! / Hey, EEP! 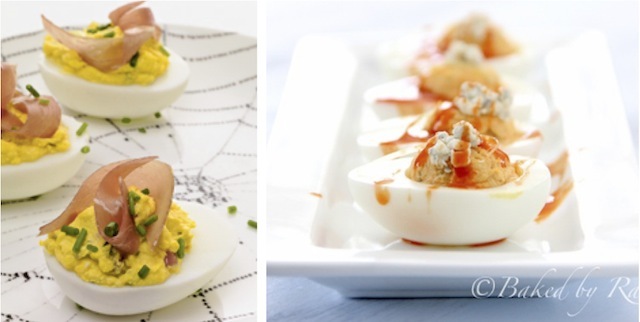 18 Must-Try Deviled Egg Recipes: Easy & Chic Make-Ahead Appetizers! 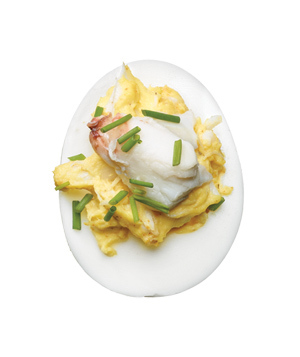 Old Bay Deviled Eggs by Martha Stewart Living! Beet-Pickled Deviled Eggs by brilliant Mr. Ian Knauer for the November '08 issue of Gourmet magazine (loved and photographed by Emily Schuman of Cupcakes & Cashmere)! Watercress Deviled Eggs by Williams-Sonoma—love the combination of watercress, lemon and green onion! Southern Deviled Eggs by chef Trevor Higgins for Garden & Gun magazine (he stuffs 'em with Sriracha, bacon fat and smoked salmon)! 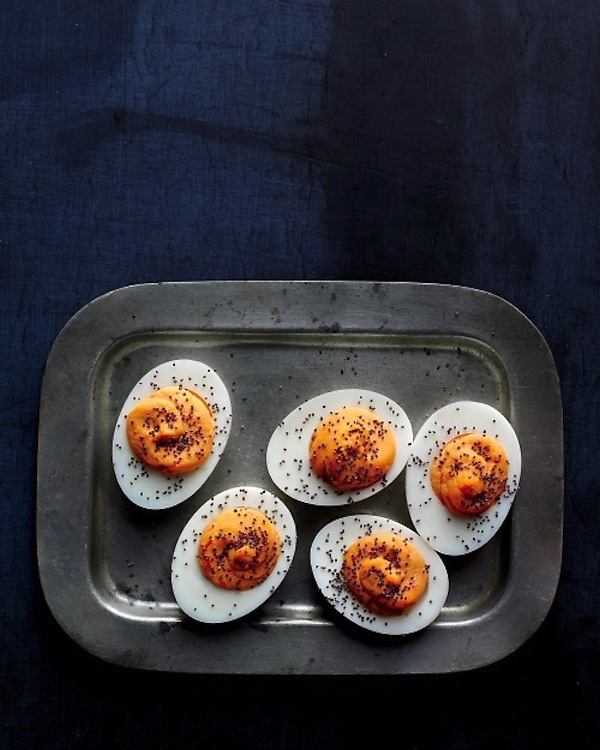 Spicy Deviled Eggs with Poppy Seeds by Martha Stewart Living. 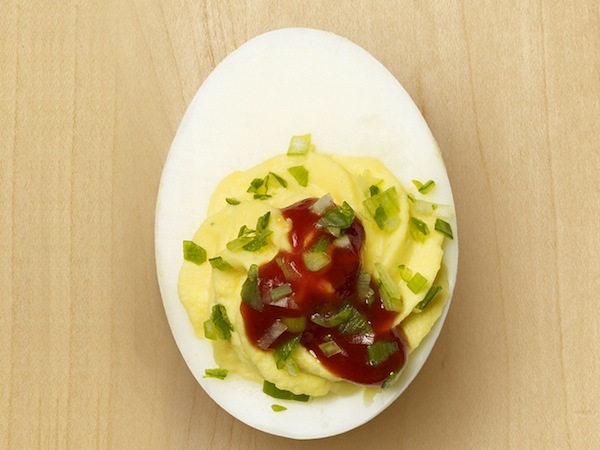 Ranch Deviled Eggs by Melissa D'Arabian, topped with barbecue sauce! 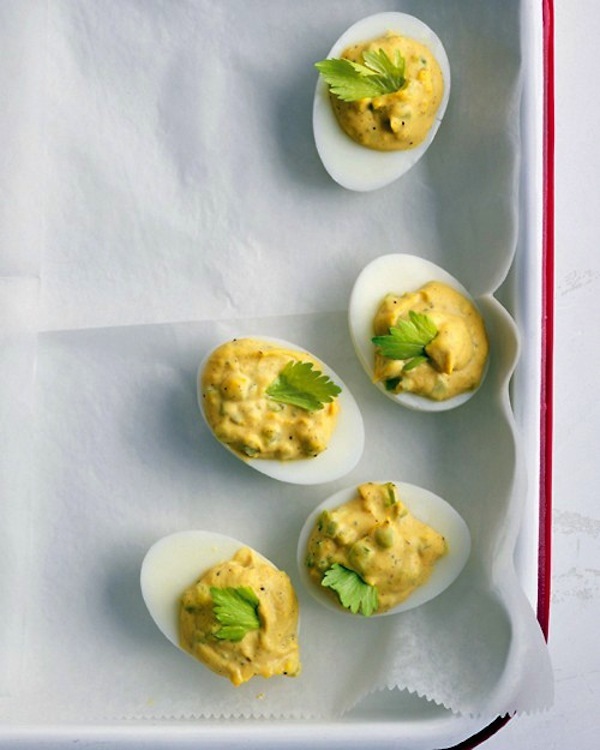 Wasabi Deviled Eggs by Martha Stewart Living! 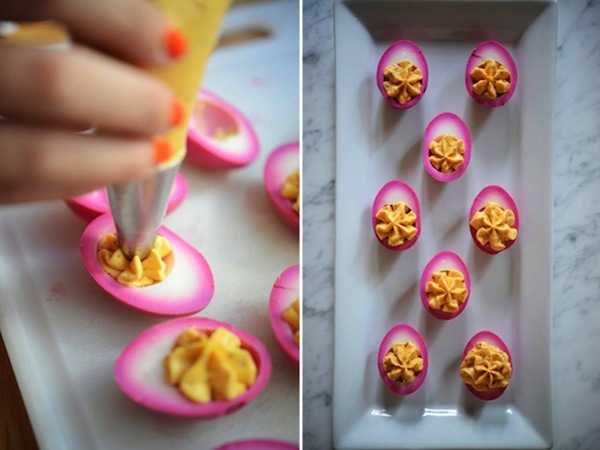 Prosciuttop-Topped Deviled Eggs by the lovely blog, Pixelated Crumb! 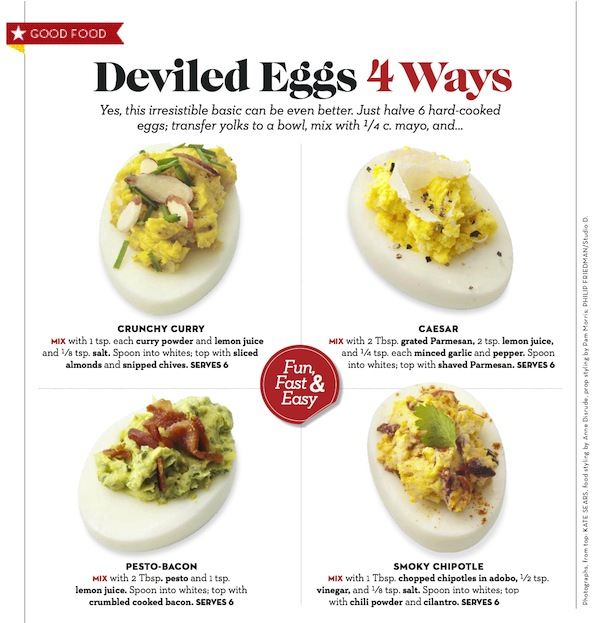 Dying to make these Crab & Chive Deviled Eggs by Real Simple magazine! 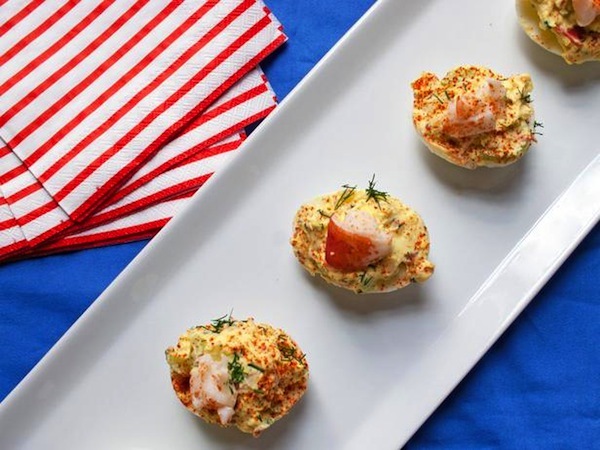 Lobster Deviled Eggs by Michele Ragussis—so luxe! 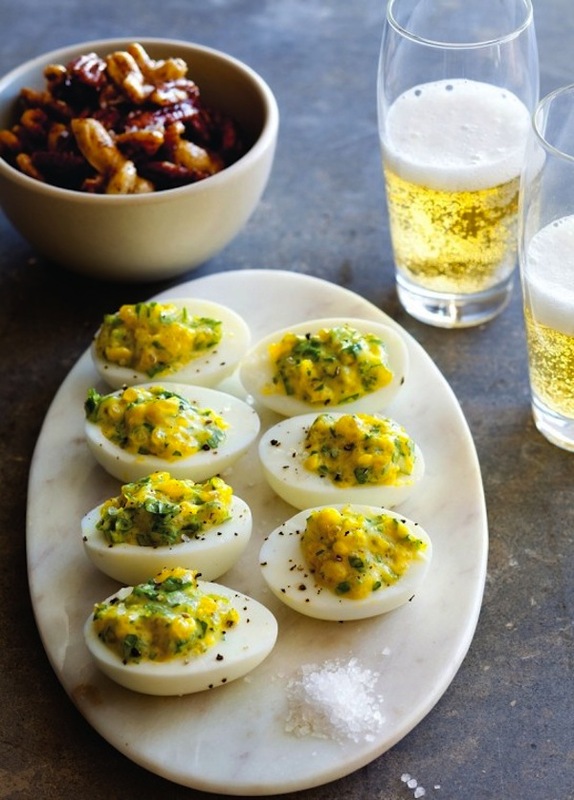 Chile-Cheddar Deviled Eggs by Ted Allen. 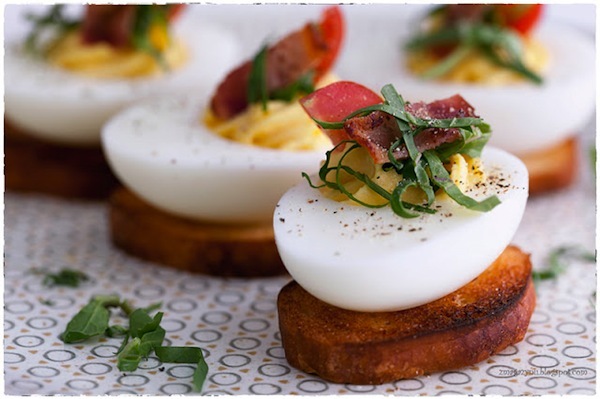 BLT Deviled Eggs (the blog's written in Polish—copy/paste the recipe into Google Translator. It's worth it)! And finally, Country Ham Deviled Eggs by chef Ford Fry for Food & Wine magazine and Buffalo Chicken Deviled Eggs by Baked By Rachel! 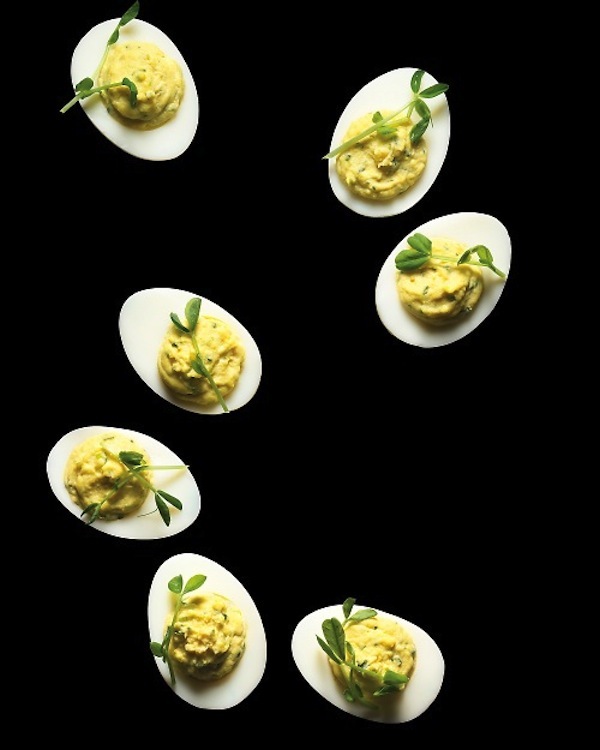 An awesome collection of deviled eggs...mmmm, this is making me hungry! 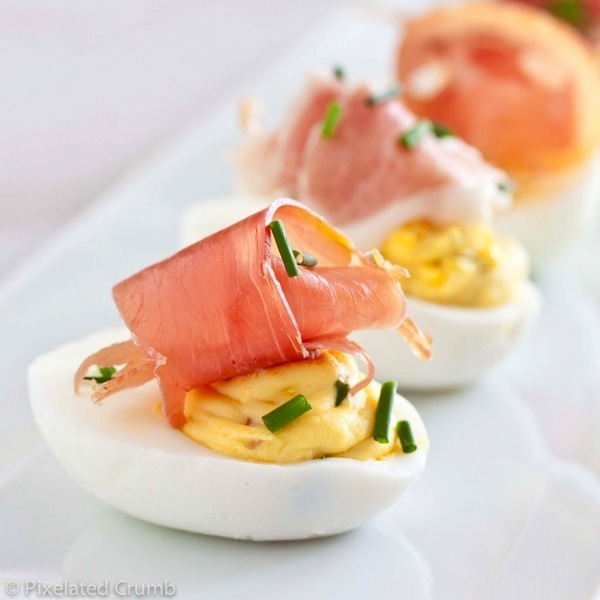 :) I think I'd most want to try the BLT deviled eggs! Hey Sara! I'm so glad you like the roundup—thanks! 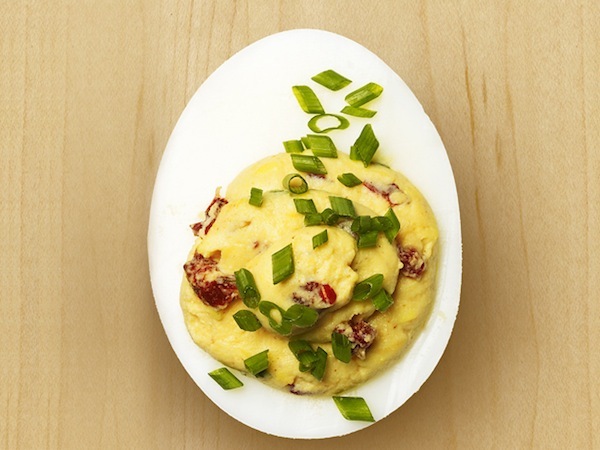 I'm dying to try the BLT deviled eggs, too. I'm thinking of making a whole bunch of hard boiled eggs and testing out a few fillings this weekend. You have such an impressive blog, by the way. So many recipes!